Reliance hosted the first in a series of events in July, specifically for Consultants in the Medical and Life Sciences industries, to provide them with an insight into Reliance’s engineering services. 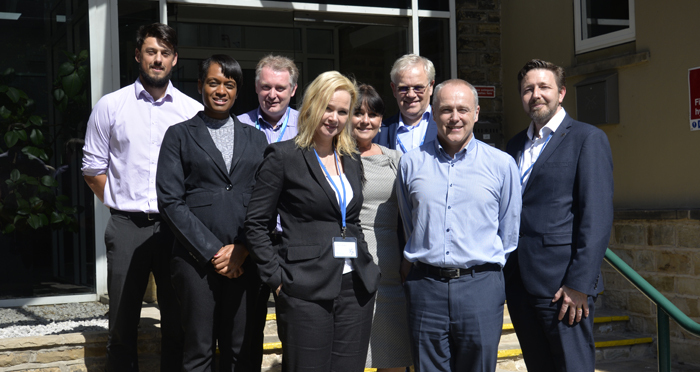 The Insight Day, organised and hosted by the Life Sciences team, was held at Reliance’s facility in Huddersfield. A small group of Consultants, keen to learn more about companies who provide innovative, leading-edge products and services within the industry, so they in turn can offer their clients the best advice and support, were invited. The day began with Reliance’s Managing Director, Andrew Wright, introducing Reliance and explaining their engineering capabilities in the provision of bespoke, integrated solutions that can help improve efficiency, automate processes, improve quality, etc., in laboratory environments. The delegates were then taken on a factory tour to see the full engineering process from start to finish, enabling them to witness first hand some of the latest technologies and machinery used. Incorporated within the factory tour were workshops about a robotic hand and a syringe pump system, demonstrating for each project, the individual components for sub-assembly, and then scale up from early prototype stage to manufacturing stage. The delegates fed back it had been an informative and enjoyable day, with each agreeing they had gained a good insight into Reliance. Common themes appearing in the feedback were the passion and enthusiasm of the team, and the high precision nature of the work. Reliance hope to confirm the date for the next Industry Insight Day soon. If you would like to know more about future Reliance events, please contact the team on 01484 601000 or email lifesciences@reliance.co.uk.